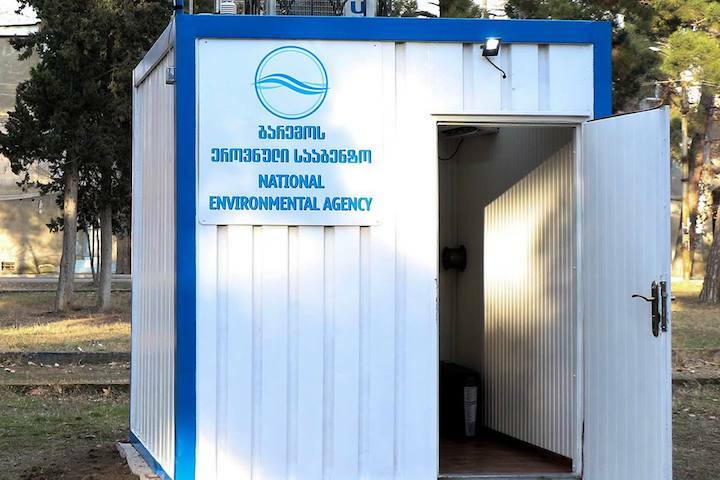 According to the National Environmental Agency, monitoring of air pollution in Rustavi will be carried out using the latest technologically equipped modern machine. In atmospheric air, the amount of carbon dioxide (CO), nitrogen oxides (NOx, NO, NO2), sulfur dioxide (SO2), ground ozone (O3) and different fractions of dust will be determined. The data obtained from the automatic station will be on the new portal – http://air.gov.ge, created by the Ministry of Environment Protection and Agriculture. It ensures availability of full information related to air quality and monitoring in the unified space, planning of measures to improve air quality and facilitate public participation in decision-making and policy planning.